Longwood Transmission Repair - EURO Specialists, Inc. Here at EURO Specialists, Inc. located in Altamonte Springs, FL we make sure to keep our word and have your car ready on time. Our Master level mechanics spend the time needed to service your car and make sure it gets the work done that it needs. We take pride in our clean shop, waiting area and state of the art equipment that is used to fix cars. Some of the brands we service are Audi, BMW, Mercedes, Mini, Porsche, Volkswagen, Infiniti, and Lexus. If you own one of these brands and are looking for transmission shops in the Altamonte Springs, FL area, EURO Specialists, Inc. is the auto repair company for you! Searching For Transmission Shops? Look No Further! Grinding sounds lurching from your vehicle are common when there is a problem with your transmission. Normal wear and tear on your car creates a number of issues, especially for older cars. If you are hearing strange noises or smell odors coming from the engine, there is a good chance that you need to have your car inspected. Our staff has the experience and education to find the root of the problem through diagnostic testing. 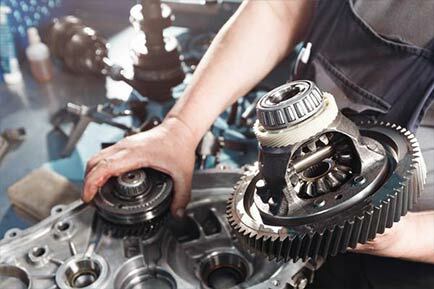 Once found, we will find the solution and notify you of whether we will need to repair or replace your transmission. It is important to stay on top of your car, and know what is going on because your transmission can become an expensive problem if not dealt with quickly . A Transmission shops can help your car back on the road and moving nice and smooth again. Our highly qualified mechanics know the details needed to fix your transmission and getting it working just like new! Trust in our skill and shop tools here at EURO Specialists, Inc. to identify the problem and fix it in a timely manner to get your car back on the road. Believe it or not, we work on cars all day every day and get to know a thing or two about transmission repairs and put our hands to good use when a problem occurs. If you're looking for a transmission shop and you need a place to go, trust EURO Specialists, Inc. in Altamonte Springs FL, to fix it! Check out our website / and make an appointment today.